Are you a morning person? Do little birds lift the blankets from your bed as you rise and smile at the sunshine? Or are you a night owl, sleeping well into day and staying up until the wee hours of the morning? 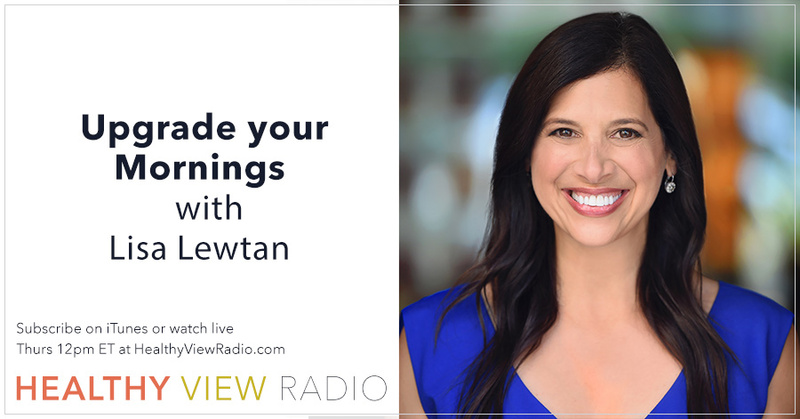 No matter your habits, the lovely Lisa Lewtan joins us to talk about making every morning amazing. As well as being our host, Lisa is also a health coach and author and is an expert in AM routines. She shares her seven super morning habits (which you can learn about on her website as well) and talks about the non-negotiable activities that keep her a happy, healthy person.